January proves every year as a month of protest, TNEB lined up for next protest. Recently Transport Unions had protested against the Transport Ministry after government refused to pay them the 2.57 percentage of salary hike and the PF arrears of the retired transport workers Rs. 7000 crores. Due to the strike of the transport unions, only the public had faced many bad consequences. After a week the government had increased the bus fare rate up to 60% to compensate the transport unions. Following the transport union strike now the people of Tamil Nadu and college students are protesting against the bus ticket hike. Now Tamil Nadu Electricity board had announced a one day marking strike from 23rd January 6 AM to 24th January 6 AM. Tamil Nadu congress committee and some other parties announced that they are supporting the strike of TNEB and they will be a part of it. Tamil Nadu congress committee had released an official notice to the government stating that the government should take necessary actions to prevent the upcoming strike of TNEB workers on 23rd January by ordering to pay their PF arrears and by hiking their pay scale which was assured by the government in 2015. The Electricity Board had announced a state wide strike after a failed negotiation with the Ministry about the hike and suspended PF. The Electricity Board had requested for 2.57 percent of hike and suspended PF from 1.12.2015 but the Ministry had came forwarded to pay the suspended PF from 1.10.2017. 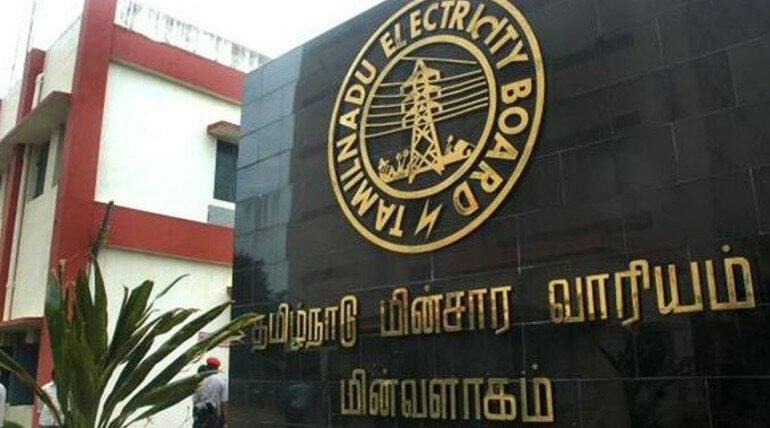 The Electricity board said in its official strike notification to order the permanentness of 11,000 contract based workers who are working for almost 15 years and to fill the vacant 40,000 posts in various departments of EB.